If you developed a severe medical condition or disability that prevents you from earning a full-time living, you may be entitled to compensation. If you are covered by an employer sponsored ERISA group benefits plan, you have critically important legal rights. That being said, ERISA claims are highly complex. The big insurance companies are notorious for underpaying and wrongfully denying valid claims. If you have had your application denied, please contact our experienced Menlo Park ERISA attorneys for a free, comprehensive review of your case. Application: Your Menlo Park, CA ERISA claim starts with you filing an application for benefits with the insurance company. This application needs to be completed thoroughly and carefully, with all supporting evidence included with it, so that you can increase your odds of getting your benefits as soon as possible. Review: When the insurer receives your claim, the company has 45 days to review your application. After this 45-day period, a decision should be issued. Though, the insurance company can obtain up to two 30-day extensions, should more time be required to assess your case. This means an insurance company can take as long as 105 days to make a decision on your ERISA claim. Decision: Once the review is completed, you will receive a decision letter from the insurance company. If your benefits are granted, then you should start receiving benefits subject to ongoing reviews by the insurance company. If your benefits are denied, the insurance company is required to explain exactly why that decision was reached, as well as what you need to do next to appeal the ruling. Administrative Appeal: You will have 180 days to bring your appeal. If you fail to take action, your case will likely be over, and you will not receive your benefits. Do not miss your chance to appeal. When appealing, you need to work with a lawyer who can help you prepare a strong claim that directly attacks the insurance company’s faulty reasoning. You must include additional supporting evidence. Litigation: In some California ERISA cases, a lawsuit will become necessary. Under ERISA’s process rules, you can only initiate litigation after you have taken your case through the insurance company’s full internal appeals process. It is worth mentioning that any future court that hears your lawsuit will be limited to reviewing the evidence that is already included in your claim file. In other words, you need to ensure that you submit a strong internal appeal to protect your rights in future litigation. At Kantor & Kantor LLP, our attorneys have extensive experience handling all aspects of ERISA disability case. If your claim was rejected in Menlo Park, California, we can help. To schedule a free review of your case, please call us today at (510) 992-6130 or reach out to us directly online. Michelle Roberts is one of the most passionate, compassionate, caring attorneys I have ever encountered. When the disablty insurance company whose premiums I paid without fail every single months for many years denied my claim, Michelle advocated on my behalf respectfully and relentlessly. She has my enduring respect and unquestionable endorsement. Michelle and her firm are beyond reproach and deserving of any potential client’s trust. Michelle and her firm turned an extraordinary painful chapter of my life into an equitable path to move forward. My gratitude for her superior work is deeply appreciated. I am very fortunate to have Michelle Roberts as my lawyer. She has done a great job resolving my case and fighting on my behalf. Michelle is very knowledgeable and always available when needed. 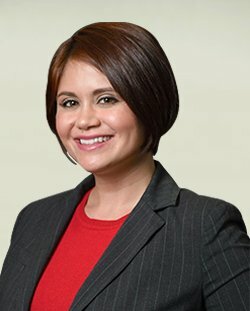 I would recommend Michelle to anyone with any ERISA dispute. After getting cancer, I lost my 27 yr career due to lasting side effects from chemo. In the middle of dealing with all of that, the insurance company stated they reviewed my records and I was no longer disabled and stopped my benefits. I am so very thankful to have been referred to Michelle. One of her colleges told that she was one of the very best, and they were right. She’s incredibly intelligent , compassionate, and has been called to help those who truly need her the most. I will be forever indebted to her, and forever grateful for the work she did on my behalf. She knows her stuff, and calls it like she sees it. She is a class act. Thank you for making a real difference in my life Michelle. my special gratitude to Ms Roberts for being amazingly supportive and willing to help potential clients like me without any expectation She is very knowledgeable about ERISA law She has helped me with all my questions and guided me throughout my LTD process while we were not bounded to any contract or so I highly recommend retaining her if you need a responsive and trustable ERISA attorney. I assure you, you'll be in good hand She promptly replied to my inquiries over the weekend. She is amazing . When the insurance company unfairly denied my claim for long-term disability, I hired Michelle to handle my appeal. She and her staff were so easy to work with and made me feel comfortable (and less stressed) through the entire process. She did a truly exceptional job and succeeded in getting the insurer to reverse its denial and pay my full benefits. Approximately 7 years ago, Michelle Roberts successfully resolved my case. Her approach to the situation was professional...Highly effective and very caring. Even after all this time since my case was resolved she still answers any questions I might have and does so promptly. I highly recommend Michelle Roberts to handle your short or long term disability concerns. Michelle Roberts of Kantor & Kantor LLP is an amazing ERISA disability benefit attorney. She fiercely advocates for her clients and knows the ins and outs of winning a disability claim. Because this area of law is pretty specialized, it is hard finding an attorney who knows about ERISA. Michelle and her team are warm, friendly, and compassionate, but also feared by insurance companies! These are the lawyers you want on your side if you are fighting a disability claim denial. I give Kantor & Kantor LLP five stars all the way! Michelle Roberts has been my wife's disability attorney for more than two years and has been a source of honest, responsive, and very effective legal strength to her in a continuing battle to keep her permanent disability benefits intact. My wife suffers from a disease that is little understood and in fact is totally misunderstood by the medical-insurance complex. As a consequence, her disability insurance carrier spends many thousands of dollars and hours trying to cancel her insurance – insurance she paid for while employed and which she deserves to have without continuous pressure to remove it. The damage this does to her emotionally and physically is tremendous, but as long as her benefits remain intact, she can pay for the many physicians and specialists she sees to try to get better and to keep from having to pay for her expensive treatment out of her savings. Michelle's legal advice has always been spot on. When the insurer springs short deadlines that require my wife to gather all her previous medical records and answer lengthy questionnaires that ask the same questions over and over, Michelle responds almost immediately and assists by answering my wife's questions and by reviewing the documents my wife prepares to submit to the carrier. Michelle knows very well how disability insurers operate and can anticipate their antics and unreasonable demands. My wife is also subjected to so-called "Independent Medical Evaluations," by an ethically compromised "physician" at least twice a year. These IME sessions are exhausting. They require a full-day of answering the same questions both orally and in writing in an effort to tire her out and trip her up legally. Physicians who conduct these phony tests are paid by the requesting insurance company – a glaring conflict of interest – and recently, one declared my wife capable of working. Michelle was there with recommendations for truly objective evaluators that provide objective opinions that stand up against legal that Michelle is familiar with and expects for her clients. I could go on, but suffice to say that we have never seen a lawyer like Michelle. Her passion for helping vulnerable clients who are outgunned, outnumbered and easily outspent by corporations and insurance companies is rare, even among plaintiff attorneys. I cannot recommend her strongly enough. No string of adjectives could describe what relief and peace of mind she has brought to my wife and to me. It's really good that she's in the world because she makes it a more compassionate place. You are just the bomb . . . . period. Thanks so much again!! I don't know what to say other than great job, you're really making rights out of wrongs. I'm so happy about all of this. I do not believe there is an attorney who could have represented me in any better fashion in this disability dispute than you. You have been keenly professional, not leaving one relevant detail to chance….I have complete confidence, faith and belief in your experience, talent, and ability….Thank you Michelle and for all you have done for me. You are truly an outstanding lawyer and you are always prepared. I want to thank you for the tremendous effort, and outstanding work you have done on my behalf. Thanks so very much for the work you did. I'm very grateful for it, and am glad you took on my case. You did an excellent job, and I'm very very thankful for it. That money has been incredibly useful to me, and, well, I cannot keep on gushing about what a good job you did. Well, I can, but that will make for a particularly long and probably repetitive email. I only know *so* many adjectives. I hope you know you've really helped me get my life back on track and healthy again. The wheels were falling off when I initiated contact with you. Your services have given me and my family a second life. Thank you. After religiously paying my premiums for over 20 years, I needed to make a claim for my Long Term Disability coverage. Confident I could do this on my own, I was met with a barrage of rejections to my claim. Through a referral, I contacted Michelle Roberts who agreed to take my case. Within 3 months, my disability checks started to arrive. I have also referred family friends to Michelle who has been instrumental in their successful claims. 5 stars all around. This is a public thank you to Michelle Roberts for her support of my wife who suffers from a debilitating disease. Michelle was instrumental in helping my wife secure essential and rightful disability benefits she paid premiums for and was entitled to. I've been around a lot of lawyers in my life, some of whom have been shockingly unhelpful and expensive. Michelle is, without doubt the best. Besides her knowledge, she does what she says she will do and is trustworthy -- qualities that are priceless and in my experience, pretty rare. I was at my wit's end and felt very defeated. In addition to being in chronic pain and physically disabled, I simply did not have the energy to take on the large insurance corporation that was denying me my rightful benefits, although I desperately needed the money. I was in the middle of my worker compensation lawsuit,waiting for the case to go to trial, and I was also waiting to hear the results of my Social Security benefits appeal. Needless to say, cash flow was at an all-time low point and so was my morale. Emotionally, I was shaken to my very core, felt immobilized from depression, and really needed someone to listen and to help me. Michelle Roberts is absolutely amazing in being a great and compassionate listener, as well as a skilled legal expert and negotiator. She set right to work in obtaining the retroactive funds that were owed to me and in getting payments started. Michelle was also brilliant in working out a settlement that allowed me to keep the money when the insurance company tried to retrieve it once my Social Security claim settled and I began to receive my Social Security benefits. . . .I settled my long term disability claim by 2012 but I still feel that Michelle is a telephone call or an email away, readily available for me whenever I need legal assistance. . . .What surprises me is, in spite of how busy I know that she is, Michelle is there to personally take your telephone call most of the time and she remembers who you are. It makes me feel really well cared for as a former client. Michelle Roberts is an outstanding attorney. Her skills are impressive, she is extremely knowledgeable about ERISA, and she is an excellent advocate. She is passionate about her clients' rights. I do not hesitate to recommend her highly. Michelle is an impressive attorney. I call on her frequently for tips and advice on handling my own cases, and I do not hesitate to refer clients to her. Her mastery of ERISA, her passion for her work and her clients, and her indefatigable willingness to volunteer to help her community and her colleagues have swiftly made Michelle a leader within the plaintiffs ERISA bar. It is with great respect and admiration that I am privileged to call her a peer. I recommend her without reservation. ERISA Watch email is literally my favorite email every week. It's a tremendous time-saver and resource that helps me keep abreast of nationwide trends in ERISA jurisprudence. Long live ERISA watch!